The new website is a source of easy-to-view information with details of each fund, the performance history, rate of returns, fact sheets as well as the asset classes into which each fund invests. CC Funds website provides access to 24X7 customer service thanks to the live chat service available on the site. 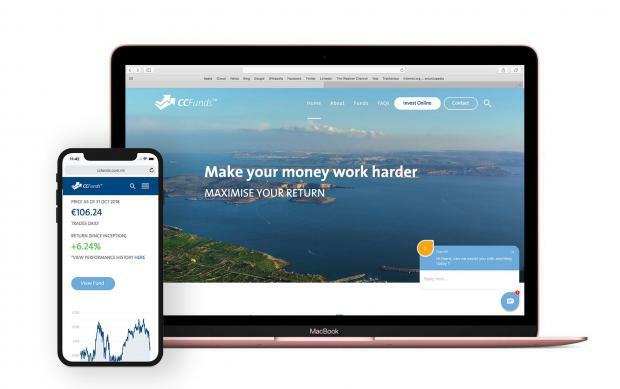 “The CC Funds website is part of our digital strategy aimed at providing as much information as possible to investors in an accurate, timely and professional manner,” said Alan Cuschieri, one of the directors who sits on the board of CCFunds Sicav plc. The funds are managed by a dedicated team of investment professionals at Calamatta Cuschieri Wealth Management, which is licensed by the MFSA to conduct investment services business. The investment professionals actively manage the funds on a daily basis. CC Funds Sicav p.l.c. is a Malta based Retail Collective Investment Scheme, licensed and regulated by the MFSA, and is part of Calamatta Cuschieri Group, Malta’s leading investment advisory firm which has been in operation since 1972.